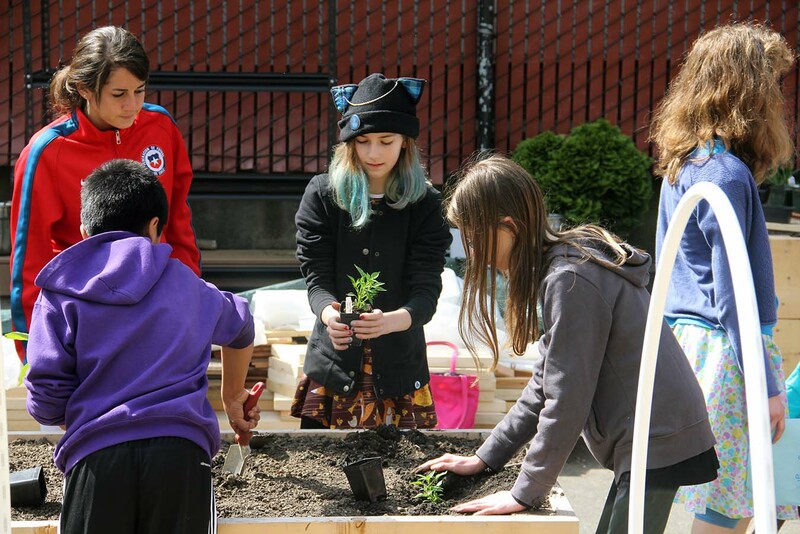 Over the course of two years, students The Northwest School's designed and built the 3,000-plus square foot Urban Farm and Garden adjacent to the school. The garden helps provide produce for the Dining Hall Program throughout the year. This space is ever-evolving, and is intended to be a student-managed outdoor lab, creative space, demonstration space for sustainable urban agriculture practices, and food producing space on campus. Urban Farm and Garden internships are available for rising 9-12th graders each summer, as well as current college students or recent college graduates throughout the summer and school year. Please contact Jenny Cooper if interested. Over 300 students actively helped to design and build the Farm and Garden, which opened in 2017. Thirty planter boxes provide 1,000 square feet of growing space. Over twenty varieties of fruits and vegetables are in cultivation throughout the year. The harvest helps supply the Dining Hall Program as well as Seattle food banks with delicious, fresh produce. The Farm and Garden offers summer internships for high school and college students. The Urban Farm and Garden includes planter boxes, a greenhouse, multiple composting systems, a “treezeebo,” picnic tables, and a geodesic dome seating area. 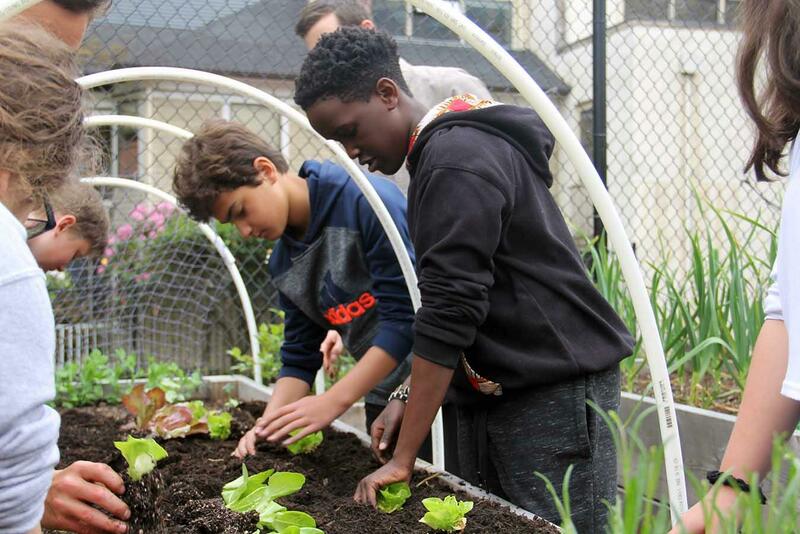 Students in the Environmental Interest Group work together with three Environment Program teams and a small group of student Farm and Garden managers to maintain it throughout the school year and the summer. I loved planning the garden with my Environmental Interest Group members and also setting up a table in the lunch line for people's thoughts about blueprint options. It surprised me how a small group can make a grand idea into an actual entity of our school. Students at The Northwest School continue to leave their visual mark on the Urban Farm and Garden. Public Art students painted worms onto the sides of the raised beds, students decorated rain barrels during the opening celebration of the West Court space, and have begun a mural in the new pop-up garden area. 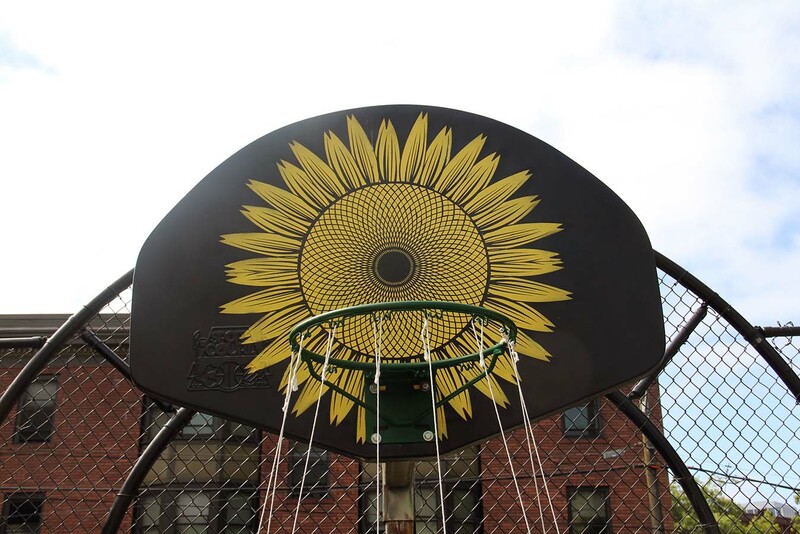 Former Public Art teacher Curtis Erlinger provided a highlight of the Urban Farm and Garden when he and his class converted an old basketball backboard into a sunflower overlooking West Court.